The first part of Peter Jackson’s The Hobbit is a still over a year-and-a-half away, but Warner Bros. is showing no hesitation in letting fans get an early look at how the project is developing. 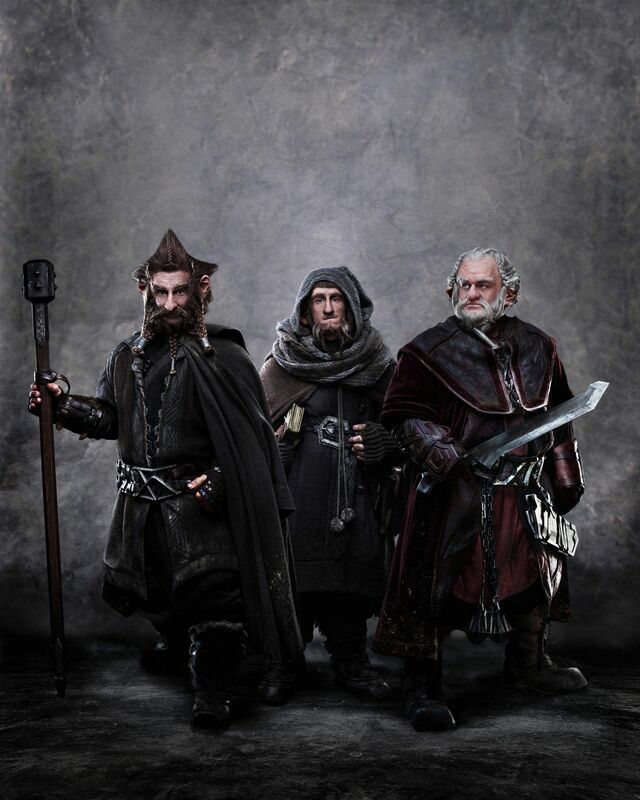 We’ve already seen the first images from the movie and now the studio have released a first look at dwarves Nori (Jed Brophy), Ori (Adam Brown), and Dori (Mark Hadlow). Nori, Ori, and Dori are three of the thirteen dwarves that accompany Bilbo Baggins (Martin Freeman) “who is swept into an epic quest to reclaim the lost Dwarf Kingdom of Erebor from the fearsome dragon Smaug.” I like the design of the costumes and make-up. It’s clear they’re trying to emphasize that not all dwarves look like Gimli. Hit the jump to check out the image along with a brief bio on the brothers Nori, Ori, and Dori. The Hobbit: An Unexpected Journey will be released on December 14, 2012. The Hobbit: There and Back Again will hit theaters on December 13, 2013. Both movies will be in 3D. Images via The Hobbit‘s official Facebook page. These three brothers, all sons of the same mother, could not be more different from each other. Dori, the oldest, spends much of his time watching out for Ori, the youngest; making sure he’s not caught a chill or got himself killed by Wargs or Goblins. Nobody quite knows what Nori gets up to most of the time, except that it’s guaranteed to be dodgy and quite probably, illegal. Dori, Nori and Ori are intensely loyal to each other – and whilst they are perfectly happy fighting amongst themselves, woe-betide anyone who means harm to one of these brothers.